Healthy doesn’t have to be boring. 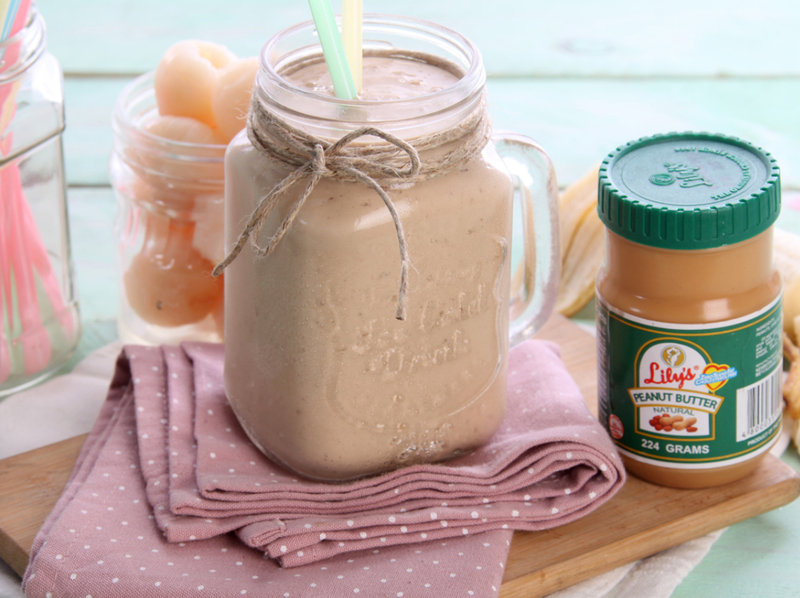 This icy blend of honeyed soy milk, juicy lychees, velvety bananas, and toothsome Lily’s Peanut Butter gives your body the nutritious dose it requires. The low cholesterol treat is loaded with immunity-boosting vitamins B6 and C and blood pressure regulating potassium, just what you need after a day packed with activities. The kiddos will surely enjoy it, too! Combine all ingredients in a blender and process until smooth. Serve. Sweetness may be adjusted according to preference by adding or reducing honey.